Taylor Mouledoux advises independent exploration and production companies on a variety of oil and gas matters with a primary focus on complex business and energy litigation. He has been involved in several high stakes commercial disputes involving properties both onshore and on the Outer Continental Shelf in the Gulf of Mexico. Among other matters, Taylor has litigated disputes between joint interest owners over payment of decommissioning costs, “legacy lawsuits” involving alleged property damage and groundwater contamination, trade secret disputes concerning seismic data ownership and licensing, and an environmental citizen suit alleging violations of the Clean Water Act and other environmental laws. In addition to his litigation practice, Taylor advises clients on insurance and indemnity issues and frequently negotiates contracts on their behalf, including drilling contracts, master service agreements, master license agreements, and time charter agreements. 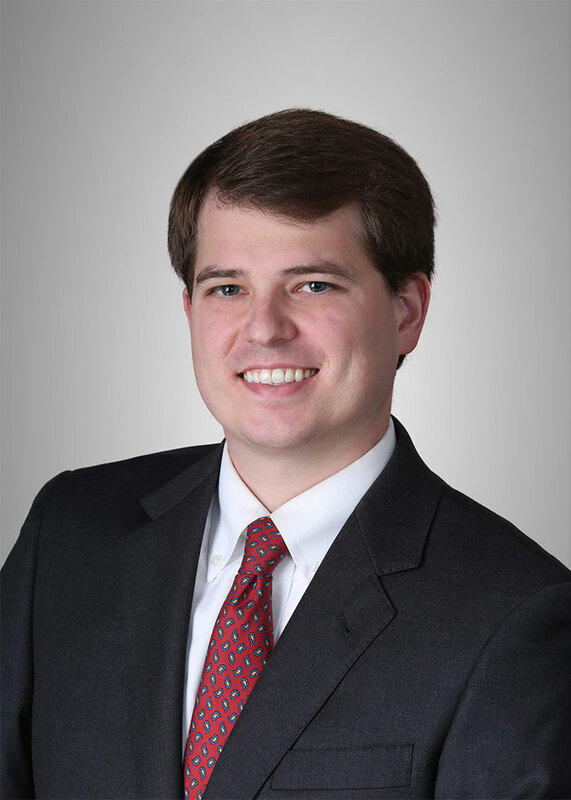 Taylor has also represented clients in response to incident investigations by the Bureau of Safety and Environmental Enforcement and has advocated for clients in matters before the Louisiana Office of Conservation, the United States Coast Guard, and the Bureau of Ocean Energy Management. Representation of Marubeni Oil & Gas (USA) LLC in pursuing proportionate share of decommissioning costs from predecessors-in-title of bankrupt co-working interest owners. Representation of ATP Oil & Gas Corporation in defense of in rem admiralty action asserting maritime and state law liens against the ATP Titan production facility located on the Outer Continental Shelf (Warrior Energy v. ATP TITAN, Case No. 13-30587, U.S. Fifth Circuit) (opinion available at http://www.ca5.uscourts.gov/opinions/unpub/13/13-30587.0.pdf). Representation of Taylor Energy Company, LLC in defense of environmental citizen suit involving alleged violations of the Clean Water Act and Resource Conservation and Recovery Act (Waterkeepers v. Taylor Energy Company, LLC, Case No. 12-00337, USDC EDLA). Representation of Taylor Energy Company, LLC in its on-going BOEM/BSEE mandated clean-up activities on Mississippi Canyon Block 20, which was severely damaged by Hurricane Ivan in 2004. Representation of EnVen Energy Ventures, LLC in action to collect on Joint Interest Billings from Black Elk Energy Offshore Operations, LLC (EnVen Energy Ventures v. Black Elk, Case No. 14-cv-00424, USDC EDLA). Representation of Rooster Oil & Gas, LLC in action against BOEM and platform owner to maintain access under a Platform Use Agreement held pursuant to a Right-of-Use and Easement (Rooster Petroleum, et al. v. Fairways Offshore Exploration, et al., Case No. 12-cv-01322, USDC EDLA). Representation of oil and gas companies in defense of coastal zone lawsuits filed by various Louisiana parishes. Representation of service providers pursuing Louisiana Oil Well Lien Act claims against Energy XXI. Representation of oil and gas companies in responding to incident investigations of S Department of the Interior. Representation of oil and gas company in responding to investigation of U.S Department of the Interior following loss of well control event on the Outer Continental Shelf. Representation of oil and gas company in negotiation of multiple seismic licenses and transfer fees in connection with private equity transaction. Representation of seismic licensing company in lawsuit for license fees owed under various master license agreements for seismic data on the Outer Continental Shelf. Representation of oil and gas company in dispute concerning misappropriation of seismic data and unfair trade practices. Representation of various oil and gas companies in environmental lawsuits by property owners involving property damage and groundwater contamination. Representation of chemical company in defense of class actions and mass actions arising from chemical releases and involving claims for personal injury, property damage, fear and fright, business interruption, and inconvenience. Representation of nationwide retailer in defense of premises liability cases involving claims for personal injury. Representation of national manufacturer in mass joinder hearing loss cases based on claims of industrial noise exposure. Treatment of Offshore E&P Contracts in Bankruptcy, Co-Presented at EUCI “Offshore Contracts” Course, January 27, 2015. Lien Provisions in Master Service Agreements, Presented at EUCI “Offshore Contracts” Course, January 27, 2015. License Agreements for Seismic Data, Co-Presented at EUCI “Offshore Contracts” Course, January 27, 2015. Offshore Liens, Presented at LORMAN Emerging Louisiana Legal and Land Issues on the Outer Continental Shelf, March 18, 2014.